Brazilian thieves steal Zika- protective shirts during a fire evacuation – Kenyatta University TV (KUTV). All Rights Reserved. Australian Olympic boss Kitty Chiller crossed paths with brazen Brazilian thieves who stole Zika- protective shirts during a fire evacuation, when a laptop was also stolen. 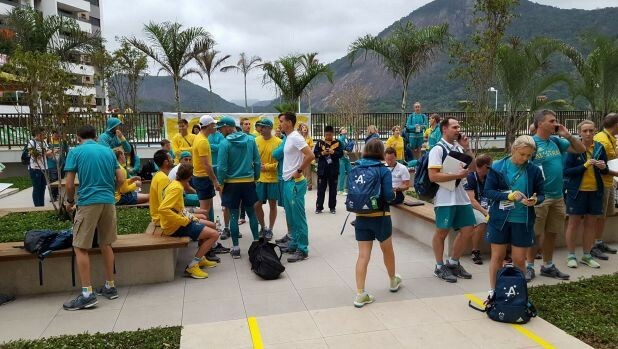 Other computer equipment of the Australian team was also rifled through on Friday in the athletes’ village, when a fire in the basement of the Australian building forced the team members to evacuate their rooms. Three or four Australian shirts, designed to protect athletes from the Zika virus, were stolen. The Australian chef de mission initially thought they were firefighters who may have been given team shirts by Australians as thanks for helping them evacuate. “I saw three fire [fighters] … walking out with our team shirts,” she said. “I don’t know who they were … I didn’t know if they were volunteers that had been given a shirt because they had helped us at that point in time. A cycling official had a laptop stolen from a fifth-floor room during the evacuation but Chiller was uncertain if it contained any sensitive team information. “Our IT equipment in our operational space had also been rifled through but nothing had been stolen,” she said. “I’m not accusing anybody but there’s a lot of non-accredited, if you like, workers, cleaners, housekeepers, maintenance workers, still walking around. The thefts are another headache for Australian hierarchy, who suspect the fire was caused by a cigarette tossed by a local worker into piles of rubbish in the basement. “Obviously that is completely unacceptable that (a) the fire alarm was disabled and (b) that if it had to be, that we weren’t warned about that,” Australian chef de mission Kitty Chiller said. There had been “numerous people” given approval to deactivate the alarms – now there would be just one, she said.